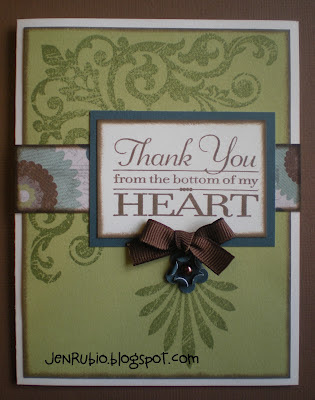 August SOTM (Baroque Borders) Blog Hop!! Annette's Blog then you are on the correct path. 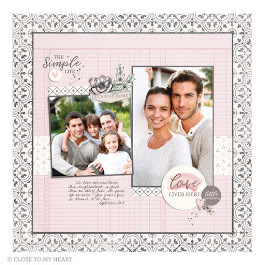 I've created this standard-size card featuring two of the elegant images from this set along with our NEW Avonlea paper pack X7155B that is available to order from the NEW Autumn/Winter Idea Book and Catalog starting on August 1st! 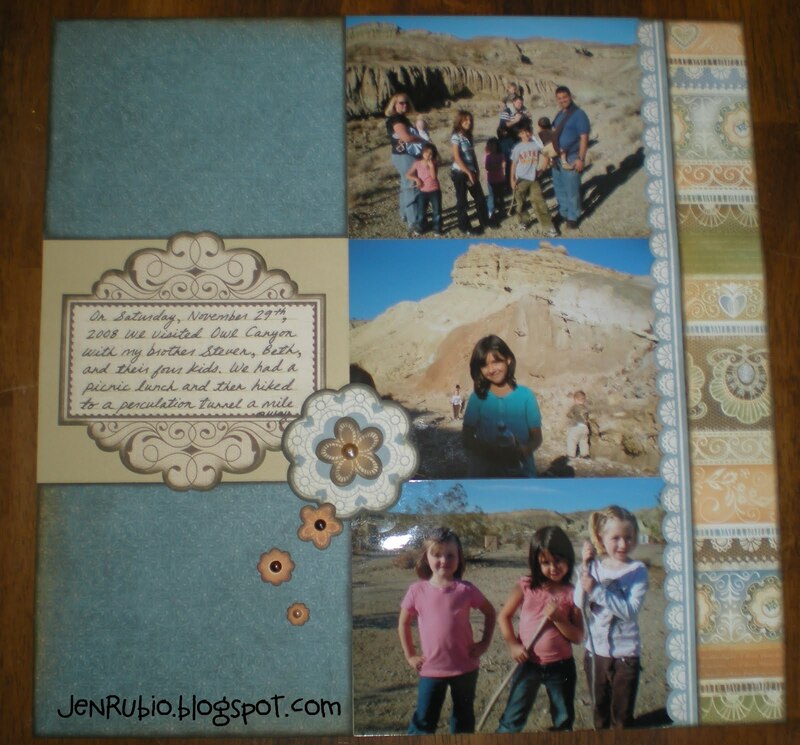 I used an Olive ink pad to stamp the SOTM images onto a background of Avonlea Green cardstock. 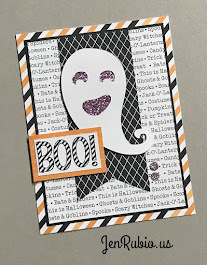 I also used Chocolate ink with a sponge dauber to ink distress the edges as well as to stamp my sentiment (sentiment stamp comes from the Workshops on the Go Avonlea Cardmaking Kit G1041 shown on page 22 of the new Idea Book). 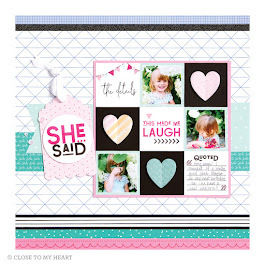 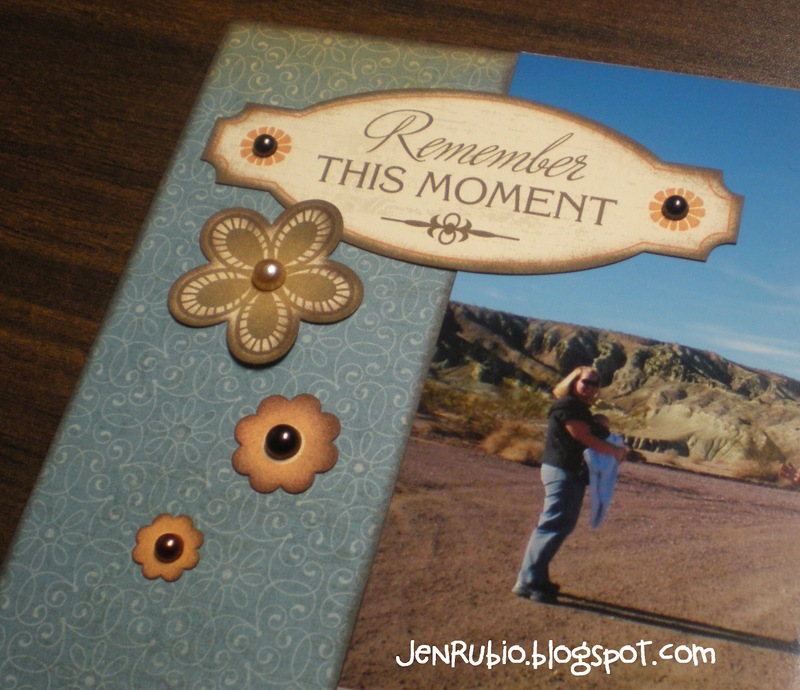 My card design was inspired by our NEW Make It From Your Heart - Volume 1 - Pattern 20 (page 42). 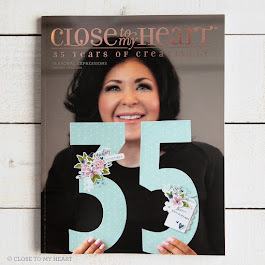 This new how-to publication is full of creative ideas to inspire you for only $7.95!! 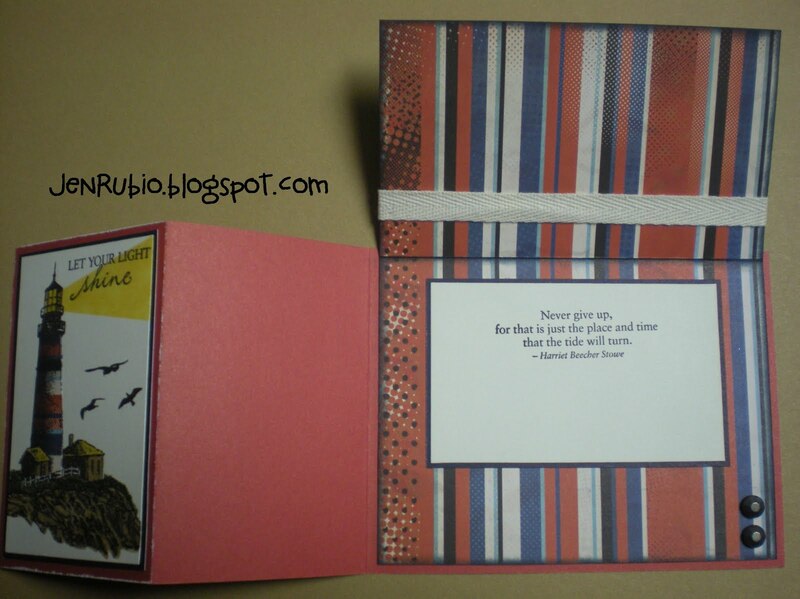 (shown on page 11 of the new Idea Book). 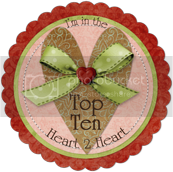 (from August 1-31, 2012 only)! by visiting Michelle's Blog next! 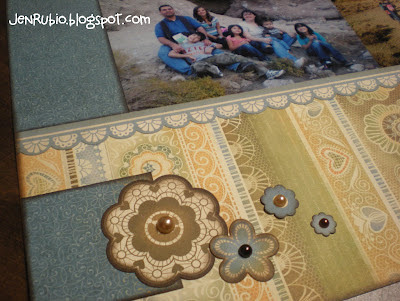 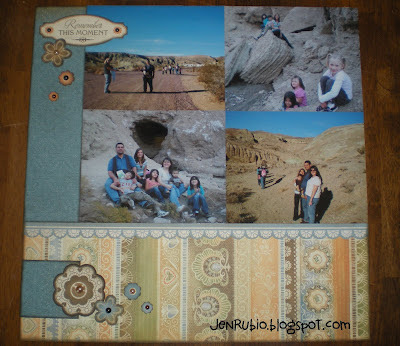 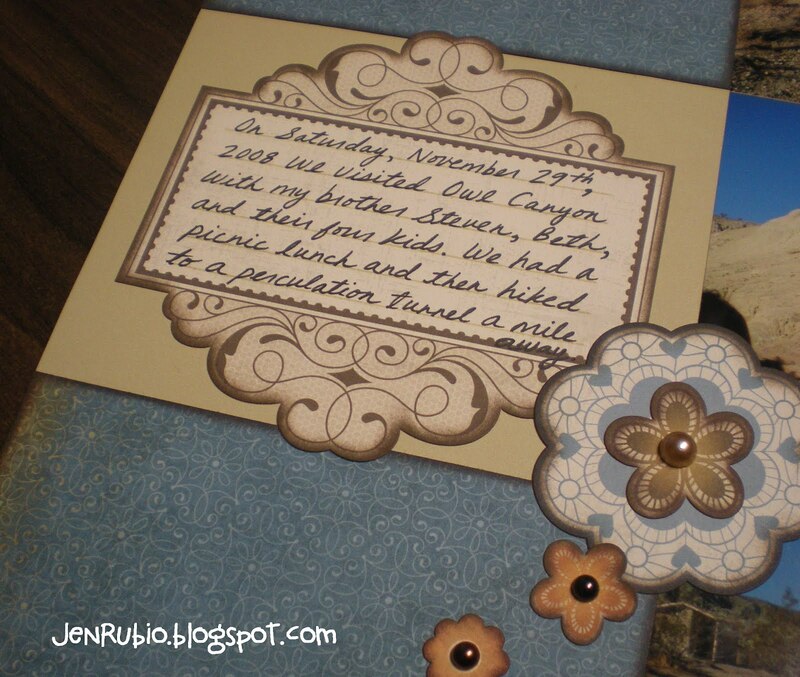 July 20 and 21 Scrapbooking Classes! 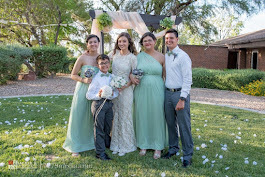 (Something really important came up, so we will need to start one hour late). 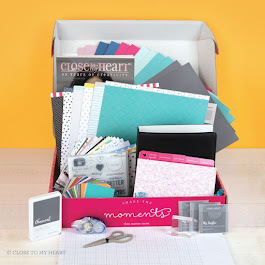 During my "PLAYDATE" times you can work on anything you want to including any projects you've brought from home, current card/scrapbooking class projects, past "workshops" you haven't finished yet, or choose from my left-over past card class kits or scrapbooking class kits that you may have had to miss. 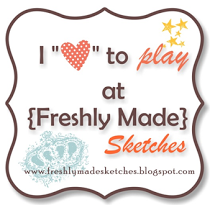 I hope you join us for the fun and creativity!! that are included with this month's class kit! 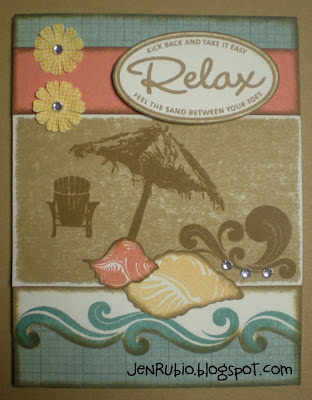 July 13 and 14 Card Classes! 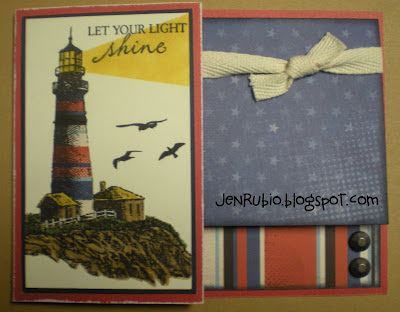 These are the three cards you have the option to make at my upcoming card classes in July! 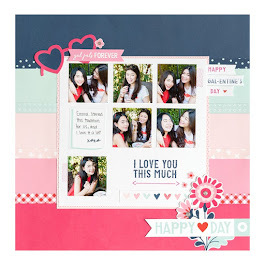 *During my morning and afternoon "playdates" you can choose to work on any projects you would like to including the current cards for July that I have available and/or past scrapbooking class projects you may have had to miss and want to make-up. 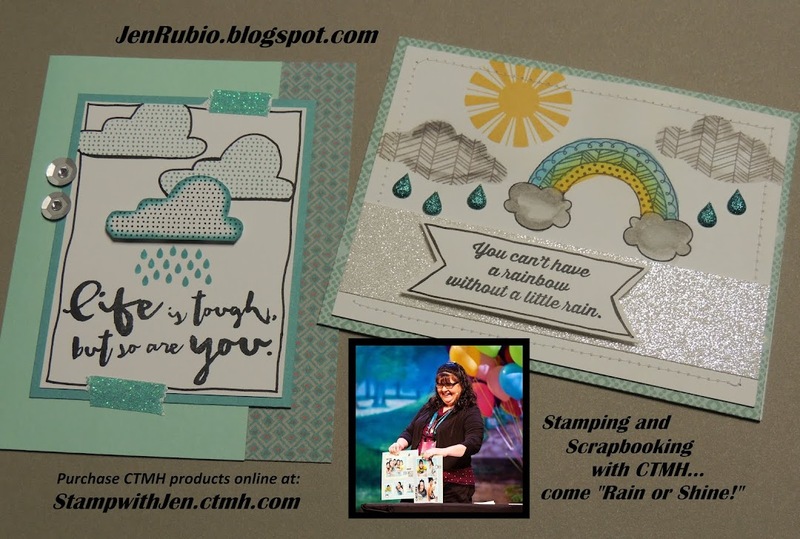 Come and create as many of each card that you want to "while supplies last"! 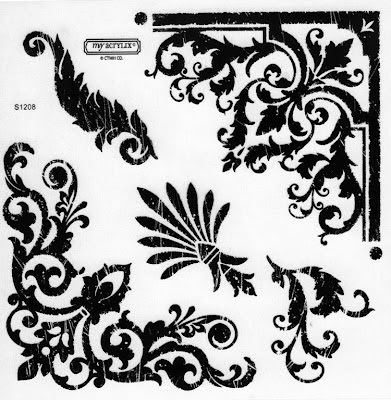 Standard-size card (above) featuring the Kick Back D1511 stamp set. 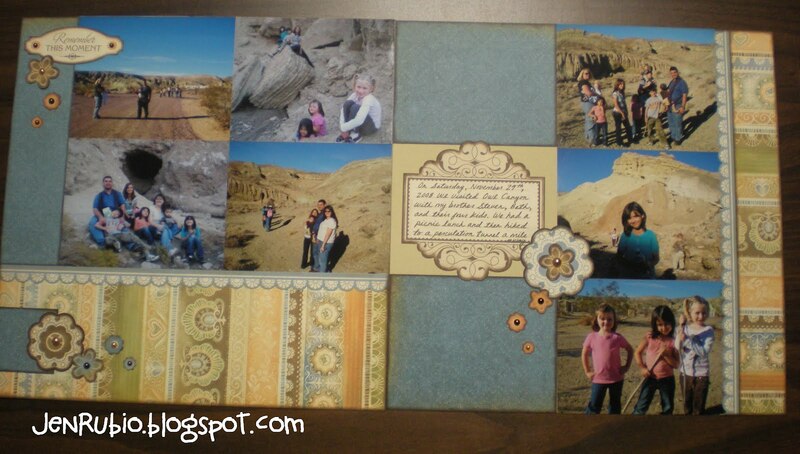 Card design is inspired by page 75 of the Idea Book (colors are Colonial White, Creme Brulee, Desert Sand, Juniper, and Sorbet). Standard-size "Double Flap" card (above) inspired by a card designed by Angela Tutton of TuttonsTreasures.blogspot.com. Angela's card and cutting dimensions can be found on her blog here. THANK YOU Angela for inspiring me with your awesome "Double Flap" card!! 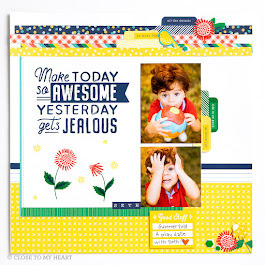 Stamp set I used is Perfect Day C1499 with the Superhero papers X7152B. 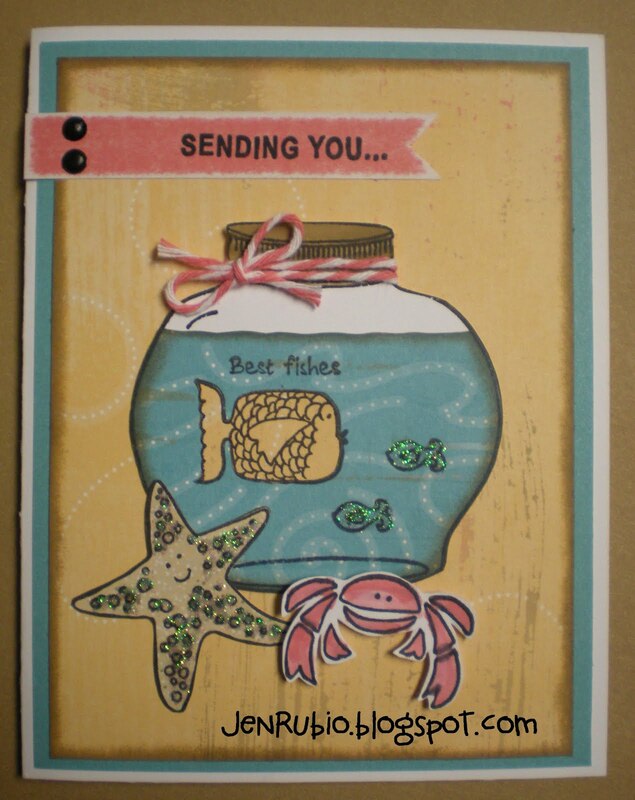 with Under The Sea C1500 and Joyful Jar B1393 stamp sets. 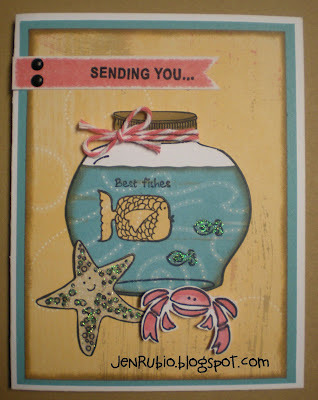 See how I curved the "Jar" stamp on my block (above) to make it look more like a "Fish Bowl" to make this card! 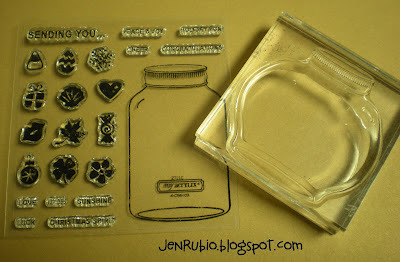 I sure do LOVE the flexibility and versatility of our My Acrylix stamps - so neat!! 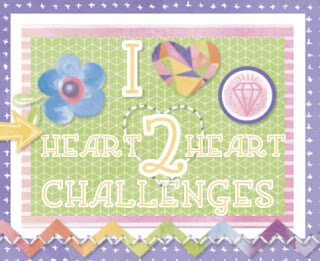 Heart 2 Heart Blog "Patriotism Challenge"! 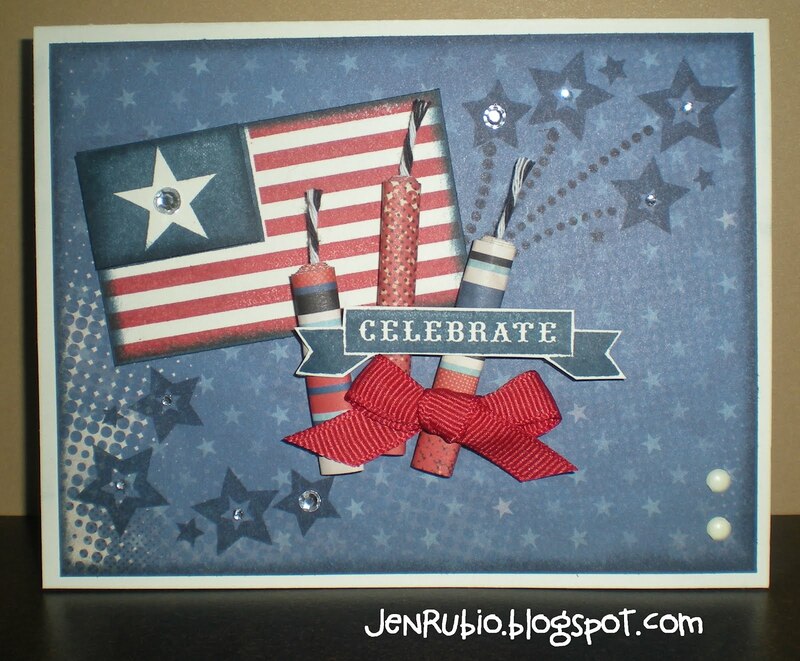 Standard size card featuring American Celebration D1458 stamp set and the Superhero papers X7152B (Black, Cranberry, and Outdoor Denim inks). 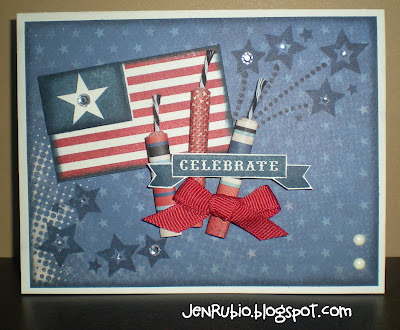 Firecrackers are rolled up B&T duos papers with black Baker's Twine inside for the fuses (papers were cut to 4 inches long before rolling).